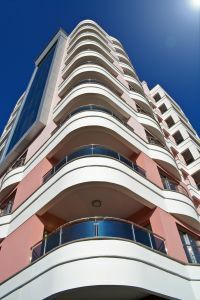 Ocean Pacific Capital has been providing Commercial Real Estate financing for clients since 1977. We have extensive experience in providing financing solutions in the form of Real Estate Trust Preferred Securities (TRuPS). Real Estate Trust Preferred Securities or TRuPS for short are similar to debentures and preferreds that is generally longer term, has early redemption features, makes quarterly fixed interest payments, and matures at face value. Trust preferreds have been created by companies for their favorable accounting treatments and flexibility. Specifically, these securities are taxed like debt obligations by the IRS, while having many characteristics of equities. They are recorded as debt in a company's accounting statements as according to GAAP procedures, but may be treated as capital for regulatory purposes.Because the interest paid to the trust is tax deductible, the company may enjoy a significantly lower cost of funding. They offer many advantages over other funding choices including equity or secured/unsecured debt. They are cost effective and typically will improve ROE if used as a substitue for equity. Also the issuer can pick from a variety of pricing alternatives and have efficient execution time, with no marketing or SEC registration requirements. Trust preferred securities (TruPS) are cumulative preferred stock issued by bank holding companies through a special purpose vehicle. For the issuing bank holding company, TruPS combine benefits of both debt and equity. The special purpose vehicle is wholly owned by the bank holding company and is usually a trust. It sells the TruPS to investors and uses the proceeds to purchase a subordinated note from the bank holding company. This becomes its sole asset, and cash flows from the note largely mirror the dividends payable on the TruPS. The note has an initial maturity of at least 30 years. Dividends are paid quarterly or semi-annually. Dividends may be deferred for at least five years without creating an event of default or acceleration. From a tax standpoint, TruPS have a significant advantage over the direct issuance of preferred shares. This is because dividends on preferred shares are not deductible as a business expense, but interest on a subordinated note is. In this regard, the TruPS behaves like debt. In another regard, it behaves like equity. In 1996, the Federal Reserve ruled that up to 25% of a bank holding companies tier 1 capital may comprise TruPS or directly-issued preferred stock. In 2005, the Fed reaffirmed this treatment of TruPS after FASB modified the accounting treatment of TruPS under GAAP. Initially, TruPS were only issued by larger bank holding companies. This changed in 2000, when several institutions issued TruPS, which were pooled in a CDO. Since then, the TruPS CDO market has grown dramatically and has become a significant source of capital for small and medium sized bank holding companies. Contact one of our TRuPS specialists today for a free consultation at 1-800-595-1474 or fill out a simple information request form.